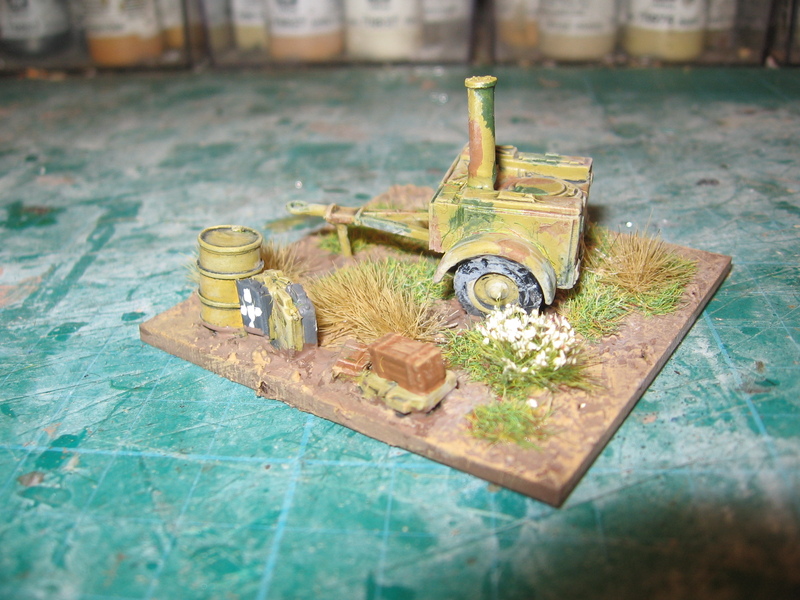 Latest finshed bits and pieces. 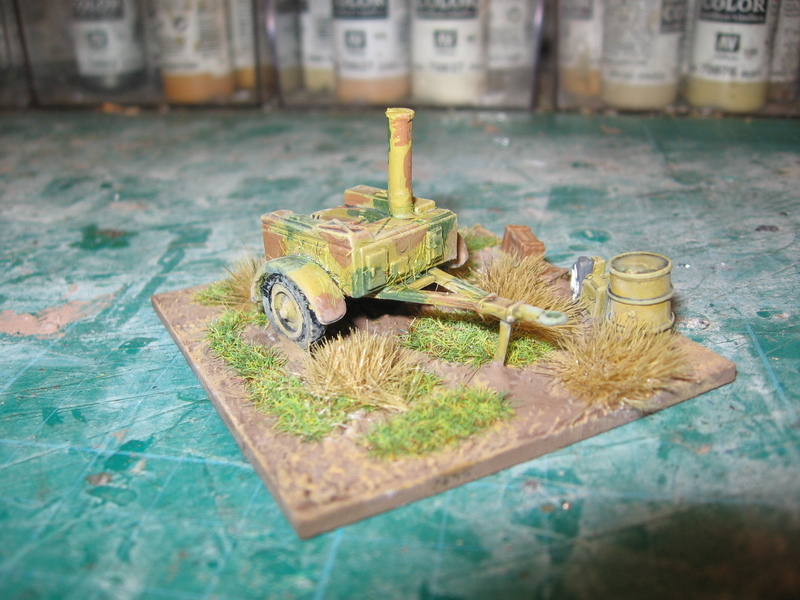 Been busy in the shed recently- keeping track of what I get painted over time is a really good motivator. Though I really should make more of an effort to get more things photographed. Still I pulled out the camera for these bits. 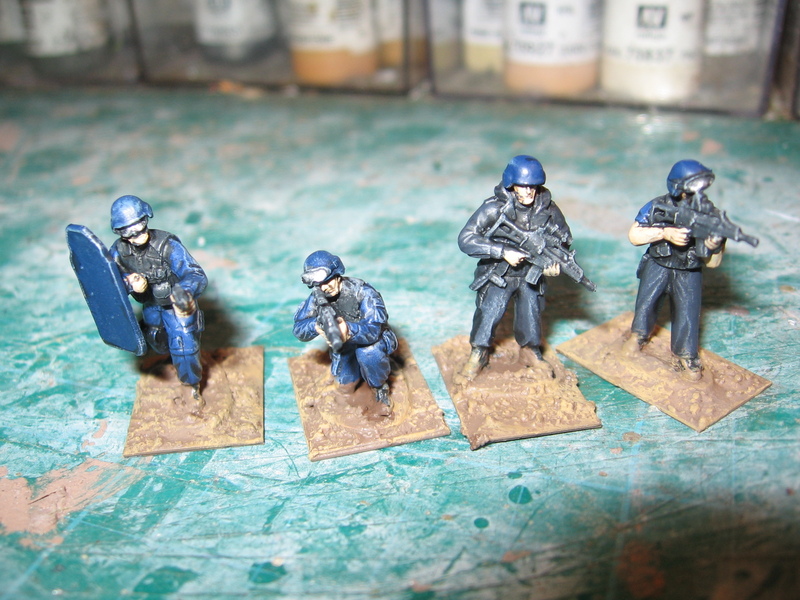 Both things were painted with my usual technique- block paint then wash then drybrush; I often find all (or nearly all) black figures hard to paint but I’m pleased with how the Police figures turned out given the time I spent on them. 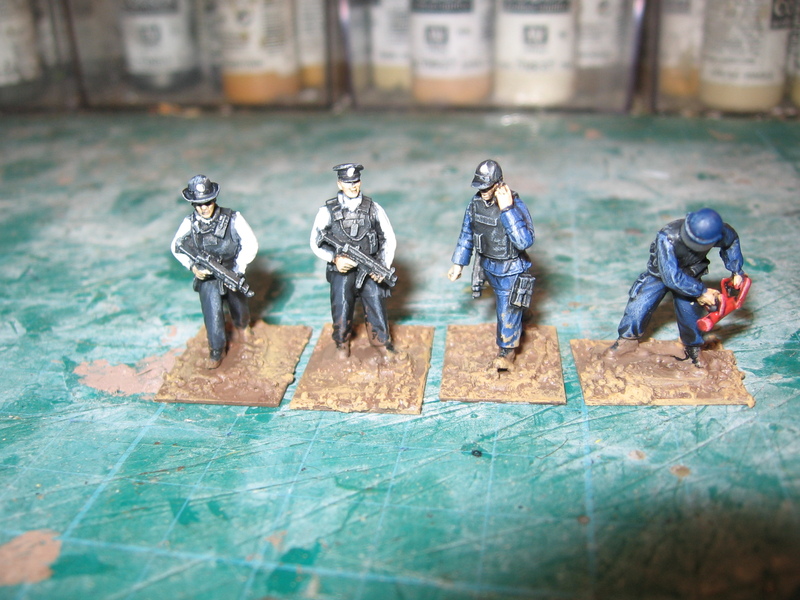 One of the wargaming ideas that inspired me to blog were the various civil unrest projects set in the UK out there. I’ve always been a big an of alternate history ideas and gaming civil war or something very close to it opens up the possibilities of more to a standard evenings game than army ‘A’ lines up to fight army ‘B’, I’m imagining something very close to an insurgency but with more of a civilian feel to it. I’ll have a think about my own background- I’m tempted to develop it in 2 periods- the classic grim 80s and something set the year after next that allows me to explore more modern concerns. When I read the Force on force main rule book (published through Osprey http://www.ospreypublishing.com/ ) I was very impressed with the way the rules handled mobs of civies. My original idea was to have an insurgent group using the cover of a riot to attack a target. The security forces player would have to deal with threats on 2 levels- crowd control and counter insurgency. For pure Riot control games I found a set of rules from Jim Wallman ‘Civil Disorder’ that should do nicely ( http://www.jimwallman.org.uk/wargame/index.htm ). To this end at the Sheffield Triples show I bought a selection of riot figures from both Irregular ( http://www.irregularminiatures.co.uk/ ) and Stonewall (http://www.stonewallfigures.co.uk ) as well as some Riot policemen. 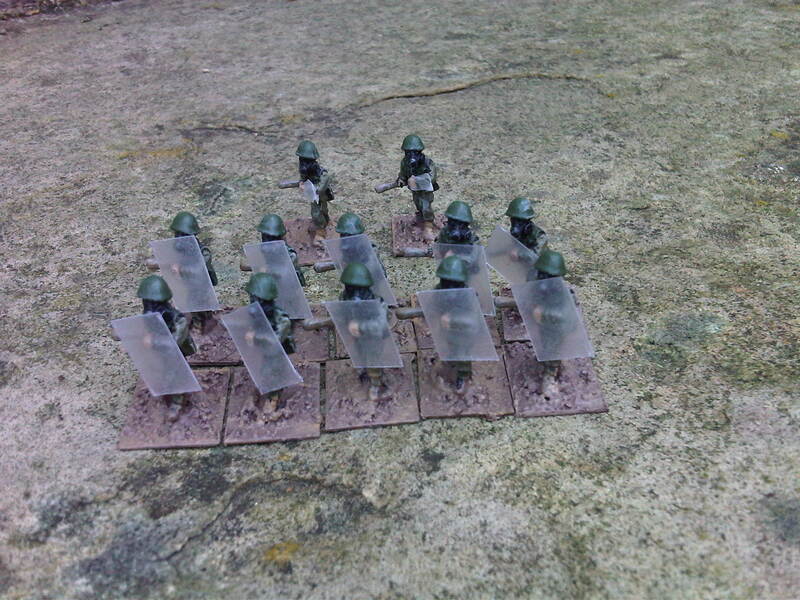 I also got some sabot style bases to mount them on. When there are painted I’ll put some pics up. 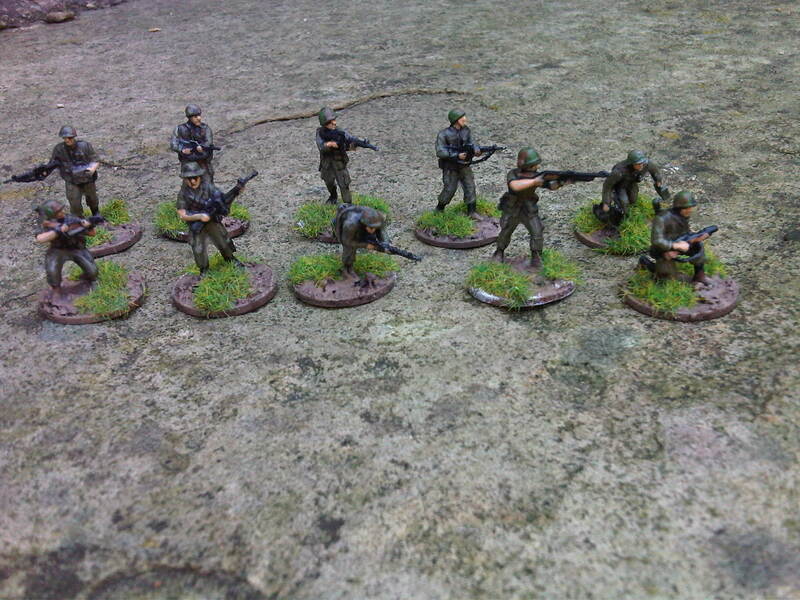 RH models ( http://www.rhmodels.com/ ) does a nice range of armed civies including some new releases with British style weapons- I’ve got some already but I’ll be adding to my collection soon. 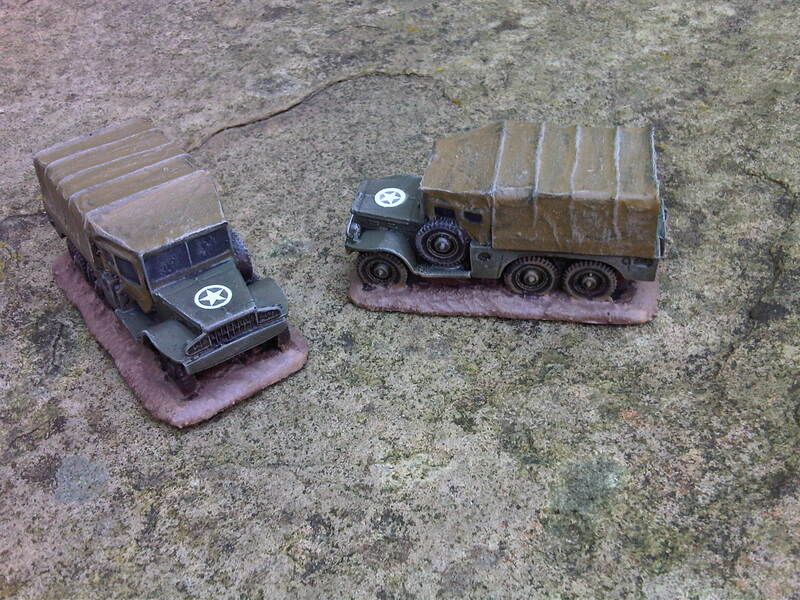 The Hobby Den ( http://www.thehobbyden.com/ ) over in Ireland has just released a Shorland Armoured Car, it saw service in Northern Ireland, I’ll pick on up to beef up the options available to the Security Forces player. Scenery was proving to be the biggest headache for me- all my Urban stuff is pretty heavily ruined which isn’t really suitable (unless I come up with a very apocalyptic backstory). However the excellent Winter of ’79 blog ( http://winterof79.blogspot.com/ ) provided the solution- a range of affordable Card Models ( http://cardmodels.web.officelive.com/default.aspx ). A quick poke around the net revealed other free models, normally aimed at Railway modellers that will be suitable. Filling my 6′ by 4′ table won’t be too expensive after all. On the subject of blogs there are 2 others that have provided a lot of inspiration: England Prevails ( http://englandprevials.blogspot.com/ ) and Un- Tied Kingdom (http://untiedkingdom2011.blogspot.com/ ).